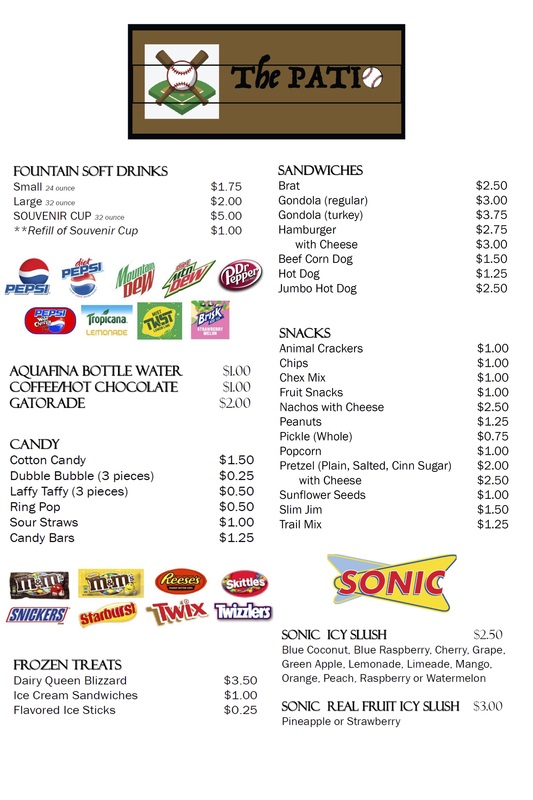 The Patio offers a wide variety of food, snacks and refreshments for our ballpark guests. In addition to our regular menu (see below), special options are offered periodically. The Patio is a valuable source of funds for our non-profit organization and your patronage is appreciated! For questions or information about The Patio, please or in person anytime at The PONY Complex.